We congratulate Rick Theders who was recently named an Honoree of the Voices of Giving Award presented by The Greater Cincinnati Planned Giving Council. Rick was nominated by St. Joseph Home (SJH), an organization that creates a home for adults and children with developmental disabilities who have complex support needs and use a wheelchair for mobility. Rick has been an unwavering force for SJH. For the past two years, he has been the Chair of their Board of Trustees and a faithful, weekly volunteer at their Day program. Prior to that, Rick served on SJH’s Board as a member, as well as being the Chair of the Development Committee of the Board. In addition to his considerable and kind gift of time, Rick has been a generous financial partner throughout his time with SJH. The residents, staff, and community consider Rick a very important part of the SJH family. 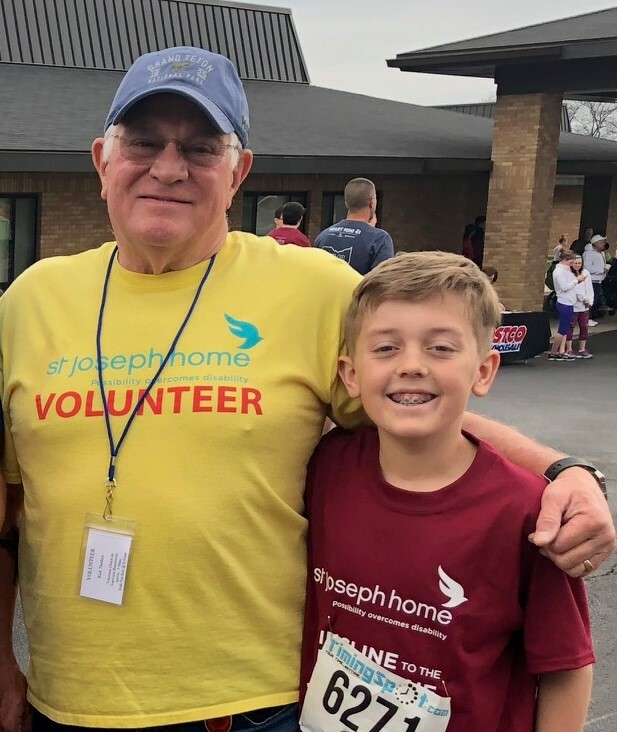 To learn more about St. Joseph Home – visit their website! Congratulations Rick – we are proud of you and admire your loving and generous heart!